Mr. President: Tone Down the Rhetoric and Govern | Virginia Right! Senator Mike Johanns (R) from Nebraska gives President Obama some wisw advice in the GOP weekly address. Senator Johanns speaks to the job killing agenda the Obama administration has pushed. Read the transcript, or view the video at the end of this post. 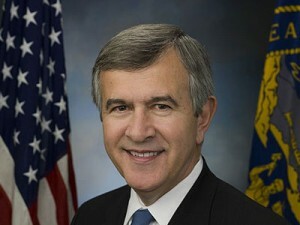 Hello, I’m Senator Mike Johanns from the great state of Nebraska. I begin with a very sincere question for our President. Isn’t it time, Mr. President, to tone down the rhetoric and to govern? I’m a relatively new member of the U.S. Senate. But, I’ve had an opportunity to serve in the Cabinet; to govern a state; and to serve as the Mayor of a wonderful community. And I learned early on that to advance an agenda, a leader needs to pull people together. You talk about creating jobs and that sounds good, but your policies just do the opposite – with a fiercely anti-business tone. Let’s take an honest look at the impact of your agenda. More than 80 percent of jobs are provided by the private sector. Those are the jobs that put food on the table, pay the mortgage, and send our children to college. Our small businesses generate 65 percent of the new jobs. In Nebraska, we like to call them our Mom and Pop enterprises. These are really good people who don’t want to get caught-up in a political debate. They want to get up in the morning, head to work and find creative ways to build their businesses. And your policies, Mr. President, are hurting them. Let me give you an example: embedded in your health care law – under Section 9006 – is a job-crushing provision. It affects every business, every church and charity; every state and local government. It requires all of them to track their purchases and when they hit $600 with any vendor in a year – for any services or supplies – your health care law requires them to file a 10-99 form with the IRS and with that vendor. This will create a mountain of new paperwork – increasing it by as much as 2,000 percent, according to one study. One small business owner in Nebraska did an analysis and came to the conclusion it will cost his business an extra $15 thousand dollars a year. Now that may not sound like much here in Washington, but to a small business in Nebraska, that would go a long way to putting another American to work. Instead, that money will pay for paperwork… and for what purpose, Mr. President? Even the National Taxpayer Advocate – a division of the IRS itself – predicts there will be little benefit and a mess of erroneous tax penalties. This foolish policy hammers our business community when we should be supporting their job growth. It’s only one example of how the Administration’s promise to support small businesses really rings hollow. Then there’s the employer mandate in the health care law, which studies confirm will divert money from wages. It forces employers to provide government-approved coverage or pay a tax of $2,000 per employee. Another example: the new Medicare tax. The majority of small businesses pay taxes at the individual level, so this new $210 billion tax will hurt; hitting businesses that employ between 20 and 200 workers especially hard. And that’s one-quarter of our workforce. To put it simply; your actions thus far, Mr. President, don’t encourage small businesses to hire employees. You’re signaling to the business owners that they best be very cautious, not only because of the flurry of new taxes and regulations, but also because a national energy tax is next on your agenda. It’s time to stop pushing anti-growth policies and start supporting a real job growth agenda. After all, what matters most is what we actually do, not what we say. I’m Senator Mike Johanns of Nebraska. Thank you for your time.